Location: South of the junction of Clock Face Road and Gartons Lane. Present state: Demolished, cutting filled in and houses built on the site of the 'up' platform. Notes: Clock Face was situated on the Widnes and St Helen's line which had originally opened on 21 February 1833 as the St Helens & Runcorn Gap Railway (SH&RGR). Built primarily for the movement of coal from the St Helens coalfield to a dock on the river Mersey (Widnes Dock) at the Runcorn Gap the line did carry passengers from its first year of operation, but there were no intermediate stations between the dock and St Helens. On 21 July 1845 the S&RGR became the St Helens Canal & Railway Company (SC&RC) when it merged with its competitor the Sankey Canal Company. In the years following the original line was improved through doubling and the eradication of two inclined planes, and the overall network of the SC&RC expanded. From the early 1850s intermediate stations were provided along the line and passenger services improved. Clock Face station first appeared in the public timetable in November 1856. It was located at the point where Clock Face Road crossed over the railway. 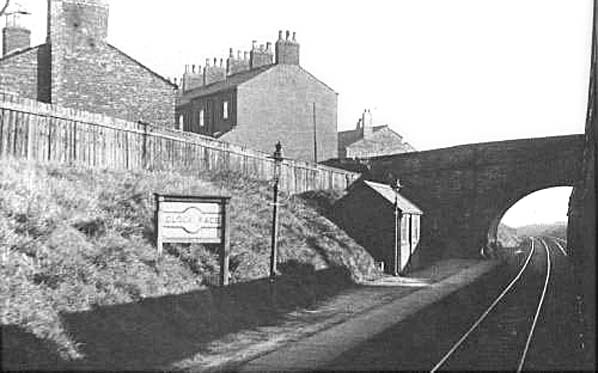 The ‘up’ (St Helens direction) platform was on the south side of the road overbridge in a cutting. 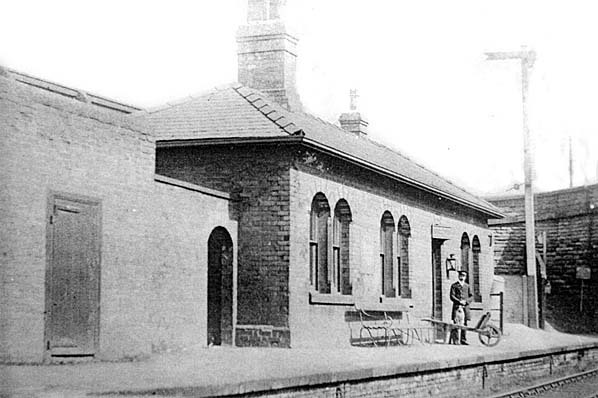 A single-storey brick building which provided the booking facilities stood on the platform. 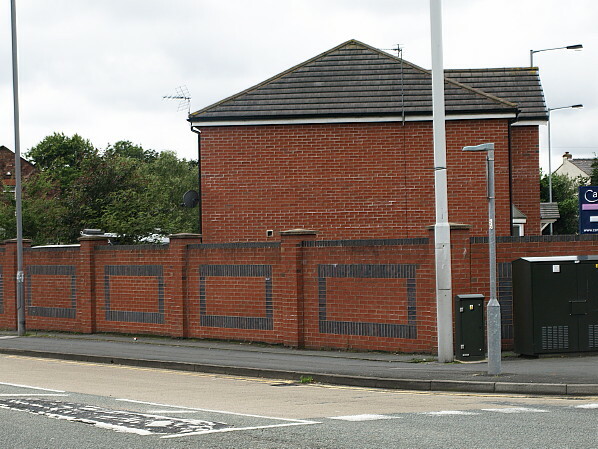 The ‘down’ (Widnes direction) platform was located on the north side of the road overbridge; it had only a simple waiting shelter. Clock Face station would have been served by trains running between St Helens and. Garston and between St Helens and Warrington via Runcorn Gap (Widnes). There were twelve trains per day in each direction which ran mostly at hourly intervals. Trains left St Helens at half past the hour and Runcorn Gap at five minutes to the hour. Alternate trains at two-hourly intervals ran to Garston or to Warrington. On Sundays there were four trains each way between St Helens and Runcorn Gap with four onward connections to Garston and three to Warrington. On 31 July 1864 the SC&RC was taken over by the London & North Western Railway (LNWR). By December 1895 the passenger service from Clock Face was running between Ditton Junction and St Helens Shaw Street and included eight up and seven down services Monday to Friday with an extra down train on Saturday, as shown in the table below. Clock Face had no trains on Sundays although a service did run on the line. On 1 November 1911 the LNWR introduced a rail-motor onto the Ditton – St Helens service. It was given the nickname of the ‘Ditton Dodger’. The service proved to be very popular, and the rail-motor became inadequate. It was replaced with LNWR Webb coal tank locomotives and coaches fitted to operate in push-and-pull mode. The name Ditton Dodger for the service stuck and continued to be used by local people, passengers and railwaymen. After the Great War a passenger service began to run from St Helens Shaw Street to Clock Face Colliery and to Sutton Manor Colliery. Clock Face Colliery, located to the east of Clock Face, had started production in 1908 and Sutton Manor, located to the south-west, in 1916. The service called at all stations between St Helens and the collieries, except for Clock Face. Presumably it was thought that miners living in Clock Face could easily walk the short distance to their place of work. In July 1922 there were nine services in each direction Monday to Saturday, as shown in the table below; on Sundays there were no passenger trains on the line at all. At the railway Grouping on 1 January 1923 the LNWR was absorbed into the London Midland & Scottish Railway (LMS). The LMS Summer timetable for 1932 showed Clock Face as having fourteen trains to St Helens and thirteen to Ditton Junction on Monday to Friday with extra and retimed workings on Saturdays, as shown in the table below which was the best service the station ever had. The colliery services had ended by this time. The start of the Second World War on 3 September 1939 saw the Ditton Dodger service reduced to only three trains in each direction in the morning and three in the evening with none between 8.30am and 4.15pm. The line had always been a busier route for goods services, and it was busier than ever during the war years. After the war the service was not restored to its previous levels. On 1 January 1948 Clock Face became part of British Railways London Midland Region. The summer timetable for 1948 had the same level of service as in the war years, as shown in the table below. In 1951 British Railways proposed the withdrawal of the Ditton Dodger service and complete closure of Clock Face. Despite local opposition the service was withdrawn on 18 June 1951. The station was demolished shortly after. The line itself remained busy in the 1960s. 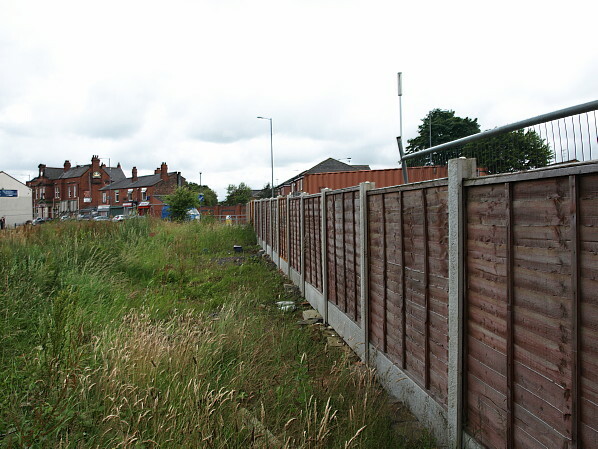 From 14 December 1969 the line through the site of Clock Face became single between Farnworth & Bold and Sutton Oak. The former up line was lifted, the down becoming bi-directional. It remained busy with coal train workings from Sutton Manor and with a variety of through services, in particular coal for Garston. On the 31 October 1981 a class 40 (40 124) passed through the site of Clock Face and headed north towards St Helens and onwards to Wigan. 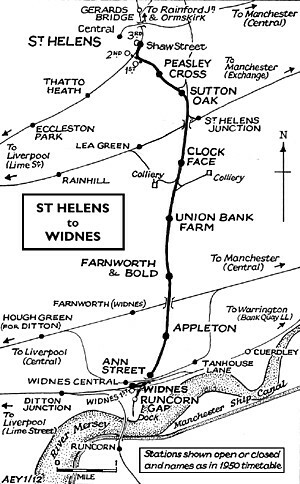 It was the last movement over the line between Widnes and St Helens as on the 1 November 1981 it closed as a through route. Trains continued to pass through Clock Face as the line remained open from Sutton Oak to Sutton Manor. However, following the 1984-5 miners’ strike, Sutton Manor Colliery closed, and the last train ran on 15 August 1987. The line from Sutton Oak to Sutton Manor was taken out of use on 10 October 1987 and was lifted by the end of 1989.
platform had stood, was in filled in 2000. In 2011 houses were built on the site of the ‘up’ platform. Clock Face Station 'up' (St Helens direction) platform seen looking north in 1900. The down platform was on the other side of the bridge. The Clock Face station 'down' platform (Widnes direction) as seen looking south from a passing train circa 1950. Only a simple waiting shelter was provided on the down platform. 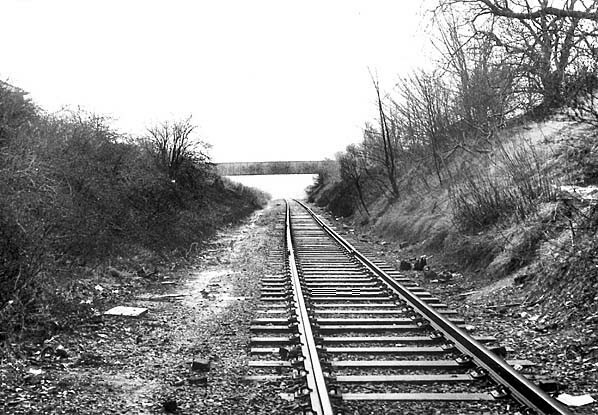 The site of Clock Face Station 'up' (St Helens direction) platform looking south in February 1973 . A diverted Liverpool to Newcastle passenger train is seen heading north through the station site. To the right of the first coach can be seen a dark coloured sign. The 'up' platform was located between the photographer and the sign. 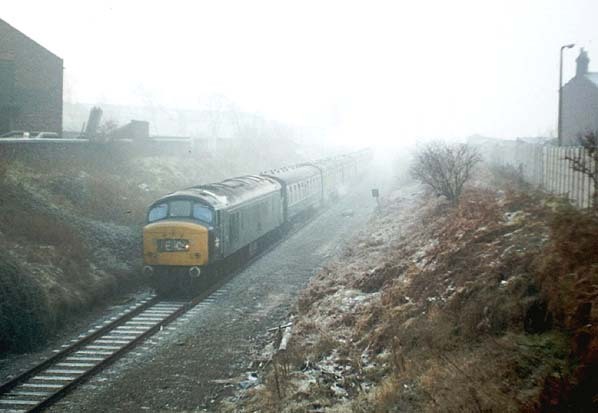 Looking north at the site of the 'down' platform (Widnes direction) at Clock Face station on 2 January 1982. The platform had been to the right. The Widnes - St Helens line had closed as a through route by this time but trains serving Sutton Manor colliery were still running through Clock Face. Access to the 'down' (Widnes Direction) platform at Clock Face was through a gateway on the east side of the bridge and then down steps. 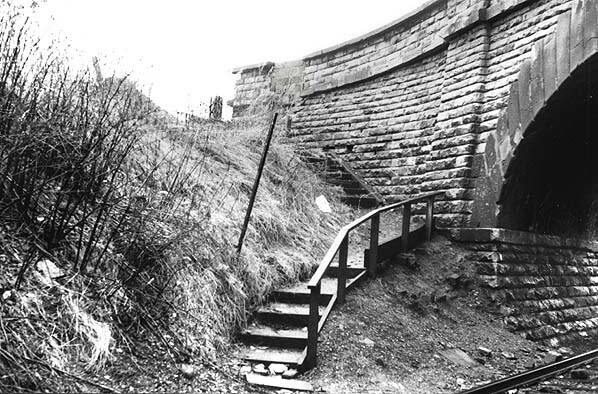 The site of gateway although bricked up can clearly be seen at the top of the steps. 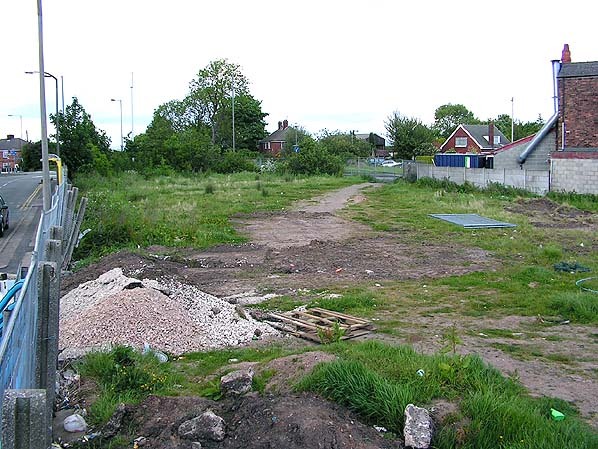 The site of Clock Face station looking north in May 2005. The station was in a cutting at this point which was filled in-filled in 1991. The 'up' (St Helens direction) platform was located to the right of the yellow bus shelter. The 'down' (Widnes direction) platform was to the left of the tall trees seen in the background. Looking south towards Widnes in July 2012 from a point that would have been towards the northern end of the 'down' platform at Clock Face. The cutting at this point was in filled in 2000. Looking south towards the site of the 'up' platform at Clock Face in July 2012 from a possition similar to the 1973 picture above.